One of the most thrilling activities in Davao city is the Davao Wildwater Adventure. Experience a 13 kilometer fun-filled water adventure along the Davao River by use of an inflatable raft that navigates through the thrills of a river. Make sure to wear light and comfortable clothes that dry quick. Rash guards and board shorts with a light weight long sleeves shirt will be perfect. More than anything, expect to get wet, which is a no-brainer when it comes to this activity. Dress for the occasion and try to bring things that can, in fact, get wet. Rafts usually have limited space and can easily flip over so it’s best to not bring anything onto the raft. Remember that if you don’t get wet while whitewater rafting, it means that you’re probably doing something wrong. 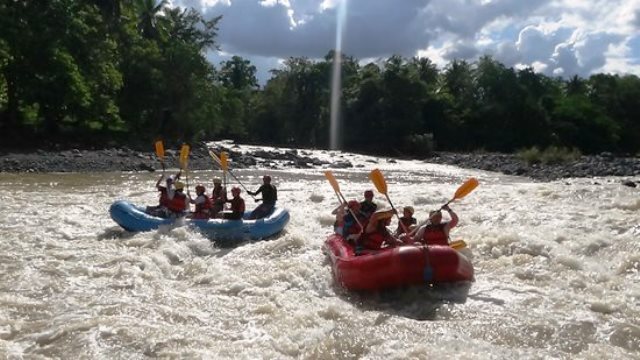 White water rafting is one of the most exciting outdoor water activities perfect for the weekend excursion. In the end, the Davao Wildwater Adventure leaves participants with dozens of stories to share—enough to fill the ride home, in fact. Check it out on your next visit to Davao to experience the wild water adventure of your life!